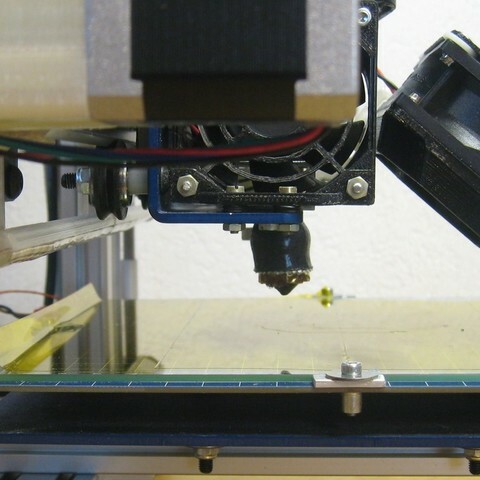 LED lighting for 3D Printers. It's optimised for the Hadron (ORD Bot) but can be also used for other Printers or generally for Misumi Extrusions. The LED Bar can be rotated (approx. 60 degrees) so you can optimize the Light Angle. 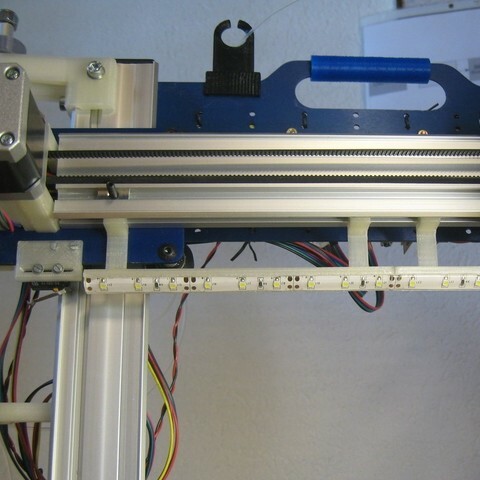 Print two LedStripMountBars for a total length of 2x150=300mm. Insert the LED Strip (Length=300mm, width=10.15mm) into the Bars by pressing it carefully. 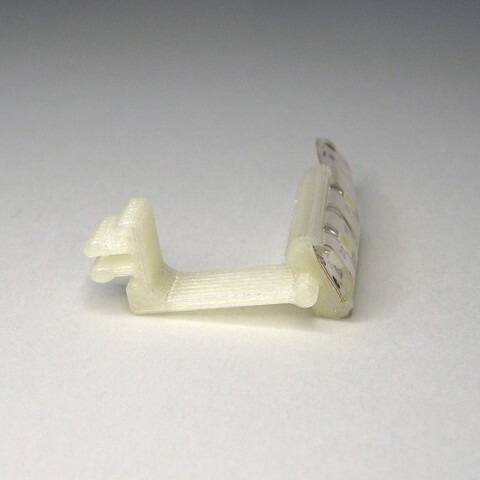 Print four LedStripMountClips and insert them laterally into the Bars. Insert the four Clips into the Extrusion. I added a partial brim to the LedStripMountBar to prevent lifting. 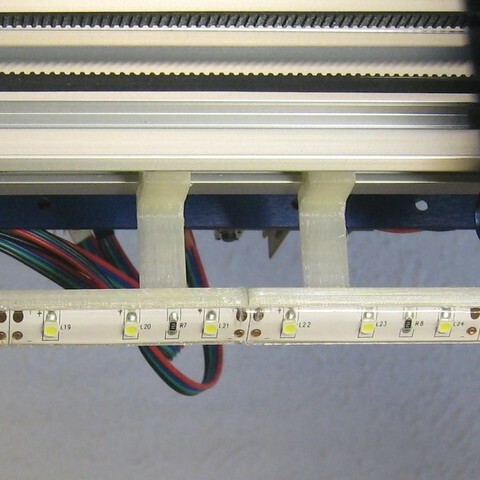 The LED Strip is connected to the 12VDC Power Supply.